As you get older, your eyelids may lose tone and start to droop. It can interfere with your eyesight or simply add years to the look of your face. It’s not a universal problem, so while some people have eyelid issues, others never do. Surgery to correct drooping eyelids is called blepharoplasty, and depending on the procedure, it can remove puffiness, bags, excess skin, and fine wrinkles. 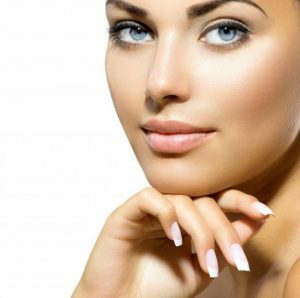 Preparing for your blepharoplasty helps assure the success of the surgery. As your surgeon for this procedure, I’ll provide you with specific tips and techniques to support your recovery and speed healing. The closer you stick to this regimen, both before and after surgery, the better your chances for a successful, trouble-free process. Yes, it’s easier said than done. However, smoking interferes with blood flow, an essential part of the healing process. Restricted blood vessels can’t provide nutrients and clear waste byproducts effectively. If you can’t quit smoking permanently, discontinue all nicotine use two weeks prior to surgery and stay smoke-free at least two weeks afterward. Let me know of any drugs and supplements that you take regularly. Some can thin your blood, which may aggravate healing. We can make changes to your medication routine, or I can plan my surgical approach to take medications into account. Healthy eating is always a good idea, but it’s especially important when your body is recovering. Look toward a diet filled with whole foods, low sodium, and balanced nutrition. Hydration is an excellent way to assist your body’s healing process. If you’re not drinking enough water, your body holds on to the fluids it has as a defense. Drinking plenty of fresh water keeps your recovery on track. After surgery, your life will be a little different for a few days, so be ready in advance. Things to consider include arranging bill payments, stocking up on groceries, and perhaps preparing meals ahead for easy preparation. Grab some audiobooks so you can relax with your eyes closed. Temporarily rearranging furniture to open wide lanes for mobility may help, particularly if your procedure requires sight-restricting bandages. Make sure you have the things you need to easily prepare cold compresses. This may include ice, washcloths, bags of frozen peas, or whatever you can use conveniently and comfortably. Keeping your head elevated also relieves strain on the surgical incisions and promotes proper drainage, a key aspect of fast recovery. Have pillows suitable for propping ready on the sofa and your bed. Blepharoplasty is typically performed as an outpatient procedure, but you’ll be anesthetized, and your vision will be temporarily affected. Arrange for a ride to and from your procedure. If possible, ask someone who can get you settled at home once you return. I can issue post-procedure prescriptions ahead of time so that you have the drugs on-hand when you return home from surgery. Alternately, arrange for your driver to visit the pharmacy on your way home. With forethought and planning, you’ll be ready to manage your recovery after the blepharoplasty. Be sure to follow all of my directives for cold compresses, medication, and post-procedure activity, and you’ll be ready to see the world with new eyes in no time.